Bundesliga club ​Schalke are reportedly in talks with ​Tottenham to sign England international Danny Rose on loan. 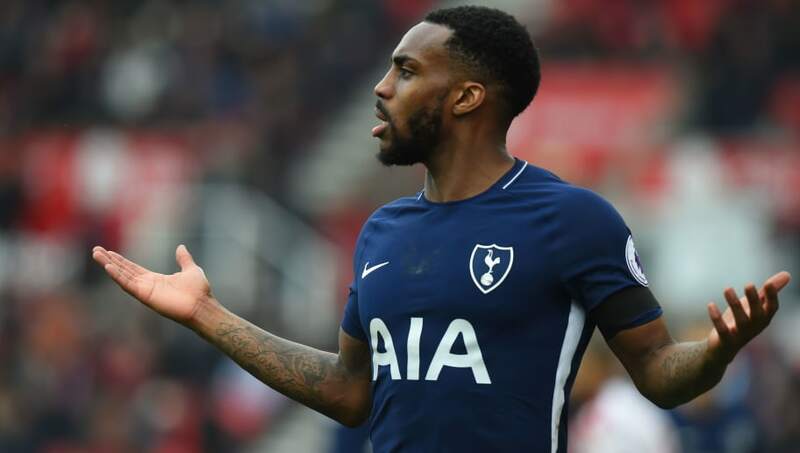 Rose, ​28, only featured 10 times for Spurs in the ​Premier League last season - though he did play in three Champions League games and was also a member of England's World Cup squad in Russia this summer. Instead, Ben Davies was preferred at left-back, which led to Rose being linked with a swap move for Fulham's Ryan Sessegnon earlier in the transfer window. Now though it seems that Spurs and Schalke are engaged in serious talks over a potential loan deal for the defender, which will surely worry Tottenham fans for two reasons: 1 - Spurs are still yet to make a signing this transfer window, and 2 - If Rose were to leave, Davies would be the only natural left-back in the squad. For Schalke, Rose's capture would represent excellent business as they prepare for their Champions League campaign, having finished second to ​Bayern Munich in the ​Bundesliga last season. Last year Rose apologised for criticising the club's ambition and wage structure, which may have had an impact on Spurs being willing to listen to offers for him. Of equal note is the fact that Rose suffered a knee ligament injury last season, severely limiting his appearances. This hasn't seemed to have deterred Schalke though, as Die Konigsblauen may soon complete one of the most surprising transfers of the summer window.